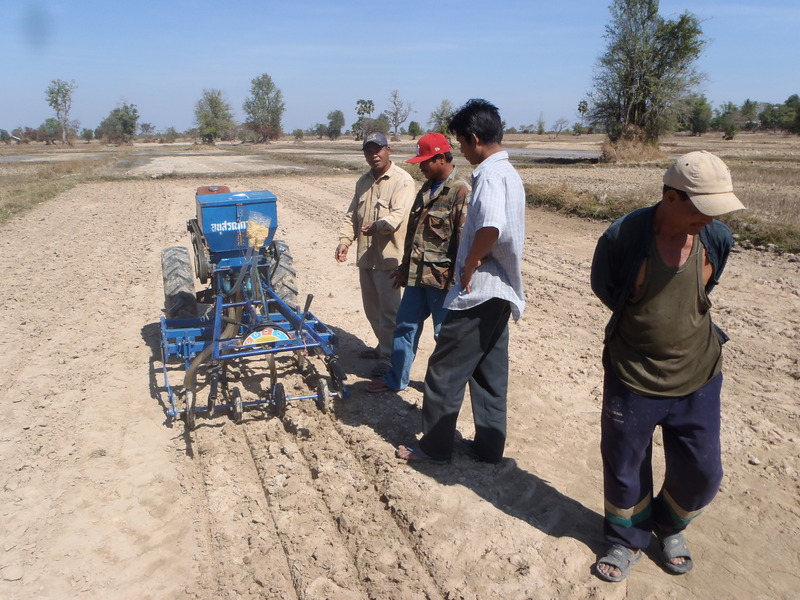 The Crawford Fund is partnering with Dr Leigh Vial to encourage farmers, or farmer groups to help support rice farmers in southern Laos to adopt dry seeding technology, but we need your help. Dr Vial is a NSW Riverina farmer and Nuffield Scholar with seven years’ experience in Lao and Asian farming systems, including four years at the International Rice Research Institute, the pre-eminent global rice research centre. “The traditional method of hand-transplanting seedlings is becoming unviable. Farmers must wait for enough rain to fill the rice bays, which can delay crop establishment extra weeks. It takes the equivalent of 30 days of labour to transplant one hectare! These farm practices are no longer consistent with fickle monsoon rains and the region’s economic development,” Leigh explained. We are hoping that Australian farmers or groups of farmers will help us with a tax deductible donation for us to provide basic seeders to farmers in key rice growing areas. Leigh knows the area very well and has worked there for many years. “The seeders will help them establish rice and other crops on a range of soils and conditions with less labour. Not having to wait for enough rain for ankle-deep water enables earlier establishment for better and more reliable yields. They can also contract-seed for nearby farmers for extra income to help their livelihoods,” said Leigh. Conduct field days to promote farmer-to-farmer exchange…the best way to spread farming knowledge in any country. The knowledge that you have made a difference for a farmer, their family and community. 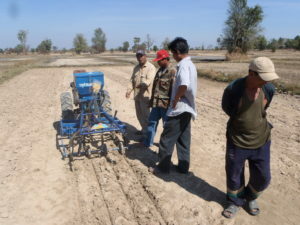 For more information on the project and to find out how you can help, download the flyer here: Rice Seeders for Laos Farmers PDF or contact Leigh on leigh.k.vial@gmail.com or 0403 489 848. To listen to Leigh’s recent interview for the Australian Rural Communications Network, click here. 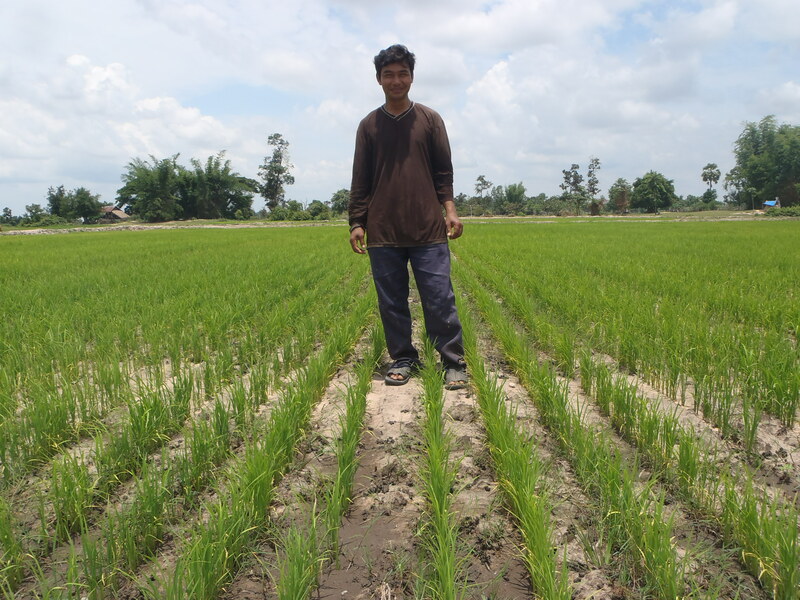 Mr Silea, of Alan Wattana village, in a drill-seeded rice crop.